Cut avocado in half and remove the stone. Scoop out avocado flesh and place in medium bowl. Reserve avocado shells. Spoon avocado mixture back into reserved avocado shells. Use the back of the spoon to make a small indentation in avocado mixture in each shell. Bring a large saucepan of water to a gentle simmer and add vinegar. Carefully break 1 egg into a cup, then slide egg into water (see tip). Repeat with remaining egg. Gently simmer for 1-2 minutes or until egg whites are set and yolks are still soft. Removewith a slotted spoon and drain on paper towel. 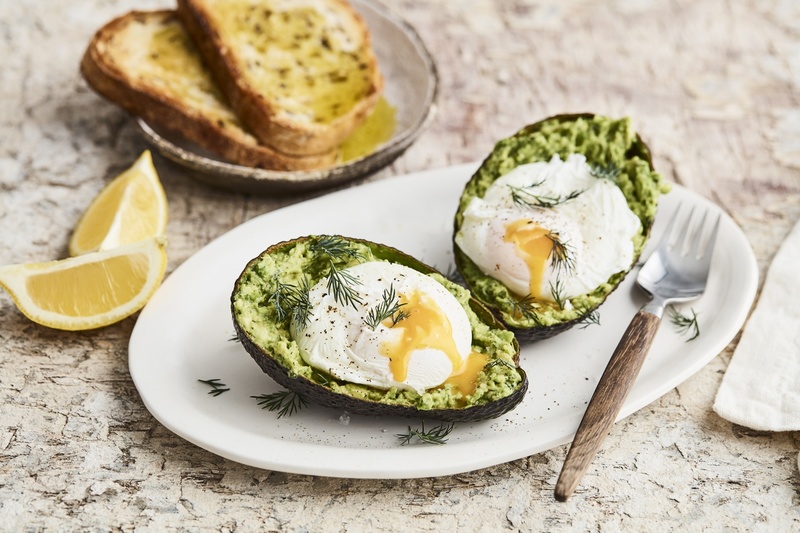 Carefully place poached eggs in indentations in avocado and sprinkle with extra dill. Serve with toast. If you want you can use a spoon to create a whirlpool in the water and gently adds the eggs while the water is still spinning. This help the egg white bind together.